• Expanded bar graphs, keyed to habitats, with seasonal and abundance information for 514 species. • The annotated 'specialties' section, a Lane Guide hallmark, provides information on the best places to find over 240 of the most interesting birds of SE Arizona. • Maps, directions, and birding tips for the newest birding hotspots, as well as complete updates of the maps from the first edition. Rick brings a wealth of field experience and boundless enthusiasm for this priceless corner of Arizona to the guide. 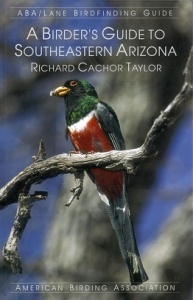 His attention to detail provides a complete picture of the opportunities awaiting birders in South-eastern Arizona. 384 pages.